“Want To Build An Online Business That Actually Makes Money? 10% Of Profits Go Towards Building A School In A Third World Country! One of the great privileges and benefits of running a successful business and living an abundant life full of blessings and gratitude, is the ability to contribute to making the world a better place. One way that I’m doing that personally is through an organization called Change Heroes. I’ve decided that 10% of the profits from the sale of Affiliate Marketing Mastery will go towards funding my current projects with Change Heroes to build 2 schools in Ethiopia. Education is something so many of us take for granted. But many children around the world never have the same opportunity we do to learn how to read, write, and simple arithmetic. They don’t have access to an environment where they can learn and grow. Mentors, teachers and role models to help them be successful in life. Once the campaign is funded I’ll actually be going to Ethiopia to help build the schools and will be filming the entire project to share with all of you once we’re finished and the schools are open. 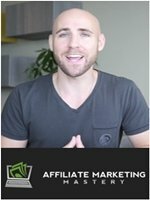 So once again, thank you for purchasing Affiliate Marketing Mastery. Your purchase is not only going to have an amazing positive impact on your own life, but also a positive, literally life-changing impact on the lives of the children that will attend the schools and their community.